Our client, Mr A, recently appeared at Greenock Sheriff Court charged with dangerous driving on the A8 in April 2018. It was alleged that our client drove his motor vehicle at speeds in excess of 110mph, changed lanes when it was unsafe to do so, cut in front of another driver and had to brake excessively to avoid a collision with an HGV. 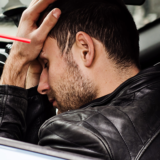 On the face of it, the alleged driving behaviours would be dangerous driving in anyone’s book but after listening to our client’s version of events and noting in particular that he claimed he was originally charged with careless driving, our specialist road traffic lawyer felt the case merited a thorough investigation. The difference in the penalties for careless driving and dangerous driving are significant. Dangerous driving carries a mandatory disqualification of at least 12 months as well as a requirement to re-sit an extended driving test before driving whereas careless driving carries 3-9 penalty points or a discretionary disqualification. At his free initial consultation with our road traffic lawyer at our Glasgow office, Mr A was perplexed as to why the charge against him had been upgraded to dangerous driving and was understandably concerned about the impact that a conviction for dangerous driving would have on his driving licence and his livelihood. 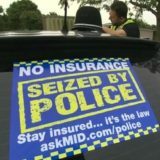 Mr A accepted that he had been speeding at speeds of around 80 mph in a 70 mph zone and also that at some stage was travelling at approximately 90mph but explained that this was due to another car, now known to be an unmarked police car, being very close to the rear of his vehicle and looking to pass him. It was believed by Mr A that the speeds in excess of 110mph libelled in the dangerous driving charge was likely the speed of the police vehicle whilst in pursuit. The other elements of the dangerous driving charge were denied by our client. Mr A explained that when stopped by police he was cautioned and charged with careless driving and warned that his case would be reported to the Procurator Fiscal but was never warned that the charge may be upgraded to dangerous driving. Although we do not condone speeding, our specialist road traffic lawyer advised Mr A that if the court accepted his version of events at trial then the court would likely take the view that he was guilty of careless driving due to excessive speed rather than dangerous driving and so he should plead not guilty and challenge the charge against him. Furthermore, our road traffic lawyer was able to advise Mr A that if the court had sufficient doubt as to whether he was warned about the careless driving charge being upgraded to dangerous driving then caselaw would dictate that the Procurator Fiscal could not proceed with a prosecution for dangerous driving and could only prosecute for careless driving. Prior to the trial at Greenock Sheriff Court, a plea of guilty to careless driving was offered to the Procurator Fiscal but was not accepted. At the trial both police officers gave very robust evidence and, in particular, their position was that Mr A was charged with dangerous driving from the outset and not careless driving. Notwithstanding this, our specialist road traffic lawyer’s preparation of the case and expert cross examination presented a very strong defence and highlighted material conflicts in the evidence given by the officers concerning the issuing of the warning under the road traffic offenders act 1988. Accordingly, following lengthy and robust legal submissions, with the aid of the most recent and relevant caselaw, our road traffic lawyer was successful in persuading the court that the Procurator Fiscal were restricted to prosecuting Mr A for careless driving rather than dangerous driving. Subsequently, our client was convicted of careless driving and following a bespoke plea in mitigation he received penalty points and a fine meaning he retained his driving licence. Needless to say our client was delighted to have kept his driving licence and his job and confirmed he would recommend us to anyone facing a road traffic charge.